Future Solleone Tarot - Tarot Bulgaria ltd. Publication Status: Limited edition of 1,500 copies this one is 1321. Composition / Packaging: 78 cards in slipcover box. 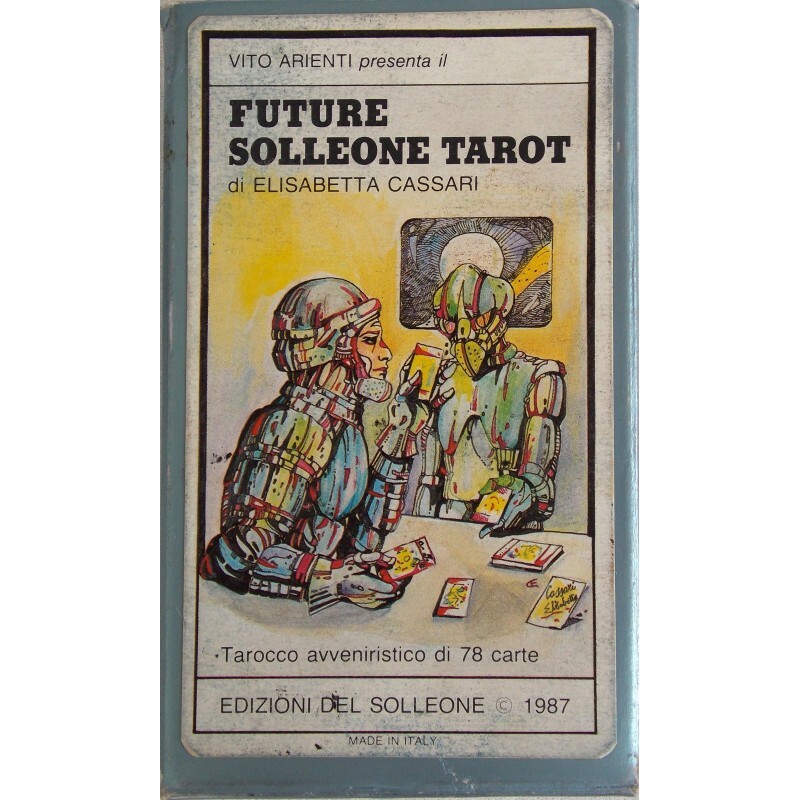 Description: A futuristic and somewhat bleak flight-of-fancy in 78 cards, by the creator of the Solleone and Elisabetta Cassari tarots. 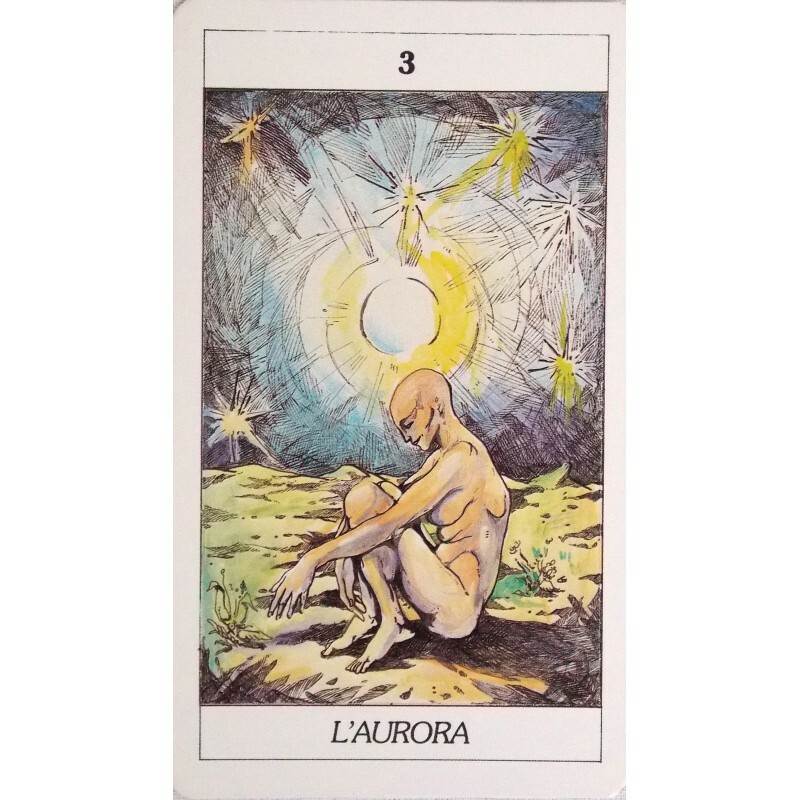 The suit cards bear the Italian name of their associated elements (fuoco = fire, acqua = water, aria = air, terra = earth). 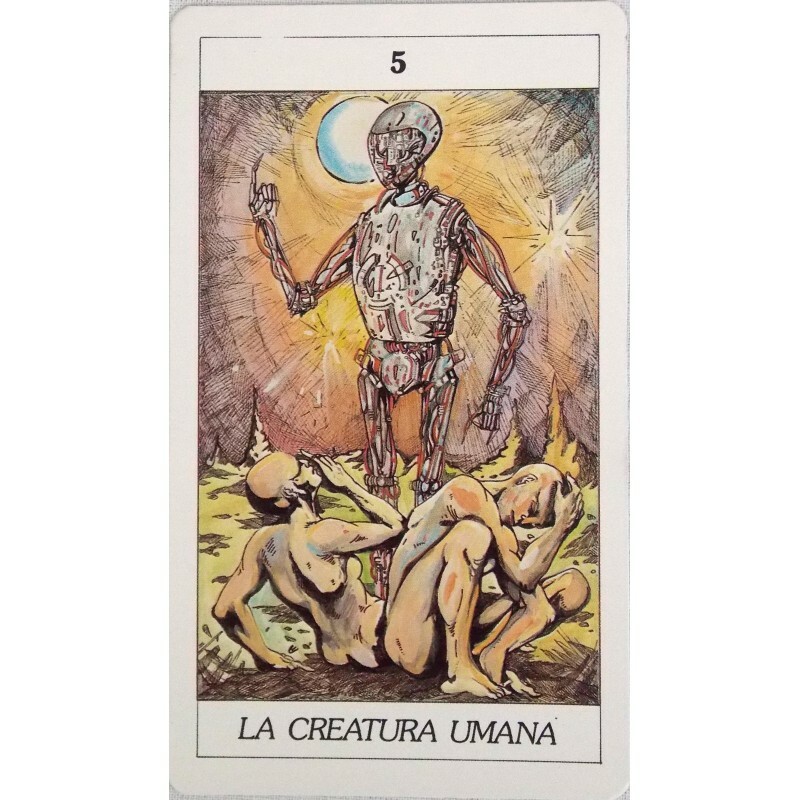 Although correspondences can be found to the cards of a 'standard' tarot, the major arcana cards have been renamed, and some of the associations seem to depart from the standard sequencing.